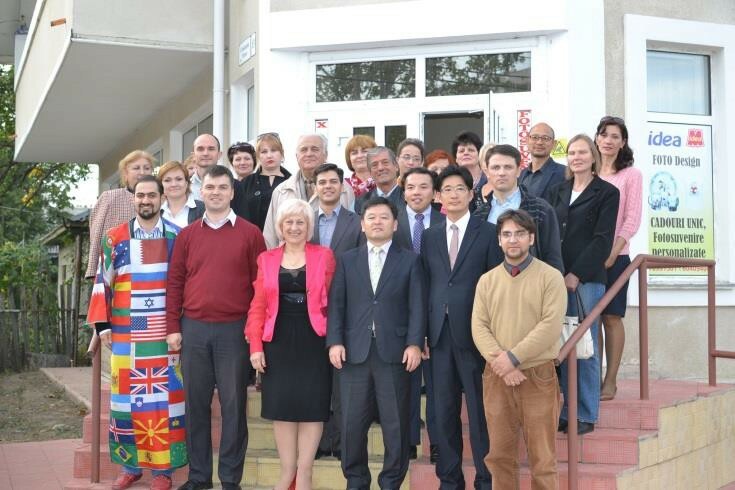 FFWPU NER: On September 24 – 26, the FFWPU International HQ representatives Mr. Kwon Sang An visited Moldova to share about implementing the “Vision 2020” project. On September 25 he met with Peace Ambassadors of Moldova. Two meetings – with rectors of the Technical University and the Sports University – on the issue of further cooperation between the Sun Moon University, South Korea, and the Chisinau universities took place on September 26. Moscow – Within his tour in three nations of the Northeast Region, Ukraine, Moldova and Russia, manager of FFWPU International HQ, Mr. Kwon Sang An, came to Moscow in the evening of September 26. On the following day, Mr. Kwon met the National Leader of Russia, the Moscow Regional Leader, and the NER HQ staff. Russian leaders reported on witnessing in Russia and educational programs for new members. Russian leaders discussed with Mr. Kwon different approaches for developing the Family Church and taking care of spiritual life of families. Then Mr. Kwon met the Second Generation dancing team “Angels of Peace” and gave them cookies that he bought with the money given by True Mother. In the evening he had dinner with witnessing and fundraising teams. Mr. Kwon gave a short speech at Sunday Service. He asked members to reflect on how we can witness more people and invite them to the Church. The second generation dancing group “Angels of Peace” performed a dance and sang a Korean song. He congratulated the second-generation members on finishing their educational workshop. After Sunday Service, Mr. Kwon went sightseeing; he visited the center of Moscow, including Red Square and Arbat Street.